UpLabs is a community-powered marketplace that lets designers and developers share ready-to-ship UI resources — like login boxes and payment forms — to build apps and sites. 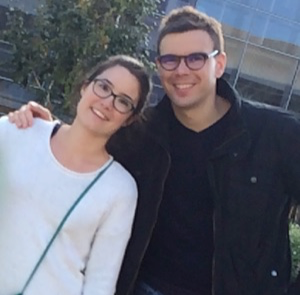 Originally from France, founders Matt Aussaguel and Guillemette Dejean moved to the U.S. after finding their way into Y Combinator’s Winter 2016 class. They had long felt that existing communities segregate designers and developers in a way that keeps either from working efficiently, and that when they collaborate and understand each other’s constraints, beautiful products are made. Aussaguel points out that if you stay within a community of designers like Dribbble, you’ll see a lot of mock ups that are impossible — or at least incredibly difficult — to bring to fruition from the developer’s side. On the other hand, developers can be more focused on what they’re building and not as much on the visual appeal of an app or site. UpLabs wants to be a resource for developers to learn more about design and to purchase interactive prototypes. Within the UpLabs community, designers and developers can get feedback from each other on live concepts, as well as buy and sell their prototypes. UpLabs curates resources for the web, iOS and OS X and Material Design, offering user interfaces, experiments, open-source apps, libraries and ready-to-use products. So it’s kind of like Product Hunt for developers — except instead of showcasing startups, UpLabs shines the spotlight on the best Material Design examples, and puts them up for sale on the site. Here are a couple of examples for a login box design. Example #1 in coded prototype. UpLabs didn’t start out as a marketplace. The idea was born in December 2014 when Aussaguel created a site that listed one exceptional Material Design example a day. After enthusiastic feedback from the design community and support from Google, UpLabs launched to help designers and developers debut their work. Turning the product into a marketplace was a logical next step. Now, the site showcases 20-25 designs a day and sees more than a million search requests per month, mainly to solve specific UI challenges like login boxes, payment forms or navigation tabs. UpLabs has around 60,000 users. Aussaguel estimates that UpLabs is split between 60 percent designers and 40 percent developers. One of the main challenges they have faced is keeping the quality high. Due to the seamless submission process and publicity from Google, the site was getting a high volume of submissions. A verified user submission system has made curation a bit easier for the duo. When posts get enough upvotes from the community, the user will be granted a verified profile — allowing them to upload directly to the showcase without having to go through a review. The UpLabs team wants to connect designers and developers offline too, and has organized a series of meetups in Europe. The meetups host prominent figures in the Google Design community and feature speakers like Google evangelist Nick Butcher.